Hantasite.com provides information about hantavirus, a preventable virus with a mortality rate of 40%. This site is intended to provide information in greater detail, and in a more forthcoming way, than governmental hantavirus sites.It is not presented as a substitute for sites such as the CDC's, which are linked at the right. A young woman, Shannon Davis, 24 years old and a mother of three, has died from hantavirus in the Tri-Cities area of Eastern Washington. This was the fourth case of hantavirus in a five month span in Washington state and it brings the fatality rate back to 50%. Details are not yet available, but this reinforces the evidence for an increased risk for hantavirus exposure this year. Year-by-year spikes in numbers of cases are common, even on a national basis, for reasons both known, and unknown. This post will be updated as information about the local ecosystem in that area of Franklin county are obtained. My deepest condolences to Shannon Davis' family and loved ones. This site has been so useful. 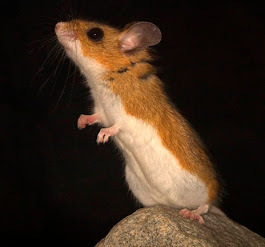 If deer mice are so abundant, why aren't more people catching it from their own back yards? Deer mice likely live and forage in the woods behind our homes, regardless of our efforts to keep them out of our structures. Does that mean it's also a threat outside? Couldn't you theoreticallly step in or touch the widespread excrement left behind during their nightly scavenging and transmitting from your shoes? Or is that a stretch? We have a mice infestation in an unused dwwr and we've been afraid to deal with it and worried about stepping in their urine trails when we go outside since they likely wander around our whole property at night. We have a young child and don't want to go outside. Replying to Anonymous above: Hantavirus infections are greatly limited by the requirement that fresh, active virus particles be taken directly into the lungs, and in some substantial quantity. This happens very rarely, so we know that it takes some direct mechanism to get the virus into the victim's lungs. Once the virus leaves the mouse in its excreta, it decays rapidly in air and sunlight and becomes harmless. I will be writing about this bottleneck in infection soon to try to understand it better, and hopefully squeeze it tighter. There have been far fewer cases of hantavirus among children than among adults, which tells us that the normal play and outdoor activities of kids doesn't expose them to much virus. Children seem to be the only demographic group that does not seem to catch it, while teens through seniors, healthy or ill, all have roughly similar rates of infection. Touching mouse excreta, even with bare feet, almost certainly wouldn't cause an infection. There are deer mice scampering about outside pretty much everywhere in the country but that doesn't make it dangerous to be outdoors. Other dangers, like accidents and other infectious diseases, are much more probable, unfortunately. It is important to keep a perspective on the levels of risks, and to take the necessary precautions (below) but not to over-react and lose out on life's outdoor activities. Take care but don't be fearful, hantavirus is easily preventable and rare in the first place. , Spray that unused "dwwr" with diluted bleach or Lysol! Screen out and trap invading mice. Deer mice belong outdoors, keep them there. Check your vehicle's cabin air filters regularly for mouse infestations. These filters are generally behind the glove box and easily accessed once you know how. How have the cases of hantavirus evolved since this last post? We have three portable air conditioners that were in a public storage unit that we cleared out in October, where we found an extremely large number of mouse droppings in and around our area rug, which had been rolled up and stored. They were also on top of and around multiple other belongings that we left behind when we cleared out the unit, because I knew they had been infested with mice at some point and didn’t want to deal with cleaning. I learned about hantavirus in January or February and ever since I have been afraid to bring our portable AC units up from the garage that we moved our belongings into. They had been wrapped extensively in plastic wrap before the move so when we took them out of storage I wasn’t worried that mice had gotten in - until I read about hantavirus and now I am terrified to turn the units on or even bring them up to our apartment because of the morbidity rates. Are there still cases frequently? What could I do with the portable AC units to minimize or eliminate the risks of contracting hantavirus if it is even present there? Replying to Anonymous, directly above. Remember that time is on your side. Hantavirus simply cannot survive long outside of a mouse. Once you have killed or excluded all of the mice in these areas, if you wait a couple weeks the virus will no longer be active. Exposing it to light and air facilitates this process. Deer mice have declined enormously in numbers since Fall/winter of 2016/2017 when there was a population explosion after the bumper crop of big leaf maple seeds in Western Washington. As I predicted in a "tweet" last year, there have apparently been NO cases of hantavirus in Western Wash. this season. Cat Scientists of the 60s! Darling mice, really, but you don't want to get too close. 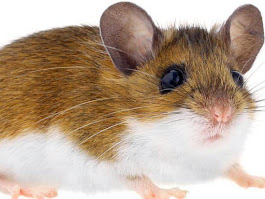 Deer mice are the most common rodent in the U.S. About 10% of them carry hantavirus. Hantasite.com is produced by Mark C. Waterbury, Ph.D. of Redmond, Washington. I'm a materials scientist by education, Ph.D. 1991 from Michigan State University in composite materials interfaces, also B.S. degrees in Chemistry and Mat. Sci. and M.S. Mat. Sci. I've worked as a scientist for the U.S. Air Force at WPAFB, a Senior Engineer at Concurrent Technologies on a wide range of projects, was C.T.O. of two tech firms, evaluated technology for some of the largest consumer products companies in the world, and developed and provided forensic anti-counterfeiting techniques for Fortune 500 firms, the DoD, and alphabet agencies. Taught physics, astronomy, and electrical circuits at Bellevue College and other Seattle area colleges. Author of Monster of Perugia – The Framing of Amanda Knox and of the blog preceding it that exposed the scientific fraud being perpetrated by the Polizia Scientifica in Italy. Mark C. Waterbury, Ph.D. . Picture Window theme. Powered by Blogger.